Lula M. Kempshall was born circa 1874 at CT. She was the daughter of Eleazer Kempshall and Alice Louisa Hull. William Cowdery Jr. was born on 5 September 1765 at East Haddam, Middlesex Co., CT. He was the son of William Cowdery and Hannah Emmons. William Cowdery Jr. married Rebecca Fuller circa 1787. William Cowdery Jr. died on 26 February 1847 at Kirtland, Lake Co., OH, at age 81. [S182] Social Security Death Index (on-line), Ancestry.com, SSDI, Ancestry.com, SSAN 331-12-0026. Samuel and Viola were enumerated in the 1900 New Britian, Hartford Co., CT, federal census. He was 38, she was 27. No place of birth was given for anyone in the family. Children in the household were Viola 8, Hazel 6, Samuel G. 3, and Mildred V. 2. Sarah (?) was born circa 1847 at CT.1 She married Samuel W. Gray.1 Sarah (?) died on 15 October 1936 at Poquonock, Windsor, Hartford Co., CT.2 She was buried at Elm Grove Cemetery, Poquonock, Hartford Co., CT.
[S284] Courant, 16 October 1936. [S807] Find A Grave, online http://www.findagrave.com, Find A Grave, database and images (https://www.findagrave.com : accessed 06 May 2018), memorial page for Clarence Dixon (8 Oct 1903–26 Nov 1996), Find A Grave Memorial no. 74616519, citing Pleasant Grove Cemetery, Red Hill, Lawrence County, Tennessee, USA ; Maintained by sharon fondelier (contributor 47090128) . John, colonial governor of Connecticut and fellow of the Royal Society, was born at Groton Manor in Suffolk, England, the son of John Winthrop (1588-1649), the founder and governor of Massachusetts, and Mary Forth. He studied at Trinity College, Dublin (1622-1624) and at the Inns of Court (1625-1627) but received no degree. After serving in the English attack on La Rochelle and traveling to the Levant, he assisted his father in plans to move the family to the New World. Having supervised the family affairs for a year in his father's absence, Winthrop migrated to America with his new wife, Martha Fones, in 1631. During the next year he joined the Boston church. Though a Puritan, he was never noted for the expression of strong religious feelings. Winthrop was also admitted to freemanship in 1631 and was elected to the colony's Court of Assistants. He was one of the first settlers of Agawam (later Ipswich), and there his wife and infant daughter died in 1634. In 1634 he returned to England on family and public business. While there he agreed to settle a town at the mouth of the Connecticut River on behalf of the Puritan Lords Brook and Say and Seale. During this stay in England he married Elizabeth Reade, stepdaughter of the Reverend Hugh Peter. During the next decade Winthrop occupied himself with the settlement of the town of Saybrook on the Connecticut River and the founding of another Connecticut town, New London. He continued to fulfill his public responsibilities in Ipswich and pursued attempts to develop a saltworks in Beverley and an ironworks at Saugus. He traveled to England in 1641-1642 to raise support for the ironworks and used the occasion to bring back additions to a library that then numbered close to a thousand volumes. His collection reflected his interests in religion, natural history, physics, mathematics, medicine, alchemy, and law. In 1646 Winthrop moved to New London and made Connecticut his home for the rest of his life, though he continued to be reelected to the Massachusetts Court of Assistants until 1649. Winthrop was elected governor of Connecticut in 1657 and was returned to that office continuously until his death. Following the restoration of the Stuart monarchy in 1660, Winthrop was chosen to travel to England to seek a royal charter that would confirm Connecticut's existence. Friends in England, such as Samuel Hartlib, helped him secure the assistance of key government officials, and Winthrop was able to obtain a charter in 1662 that not only recognized Connecticut but incorporated the nearby New Haven settlements into the colony and provided a favorable border with Rhode Island. In 1664 Winthrop further advanced his interests with the English authorities by cooperating with the duke of York's expedition to conquer the Dutch New Netherlands colony. In the early 1670s he presided over changes in his colony's political procedures and revision of its law code. He was noted for his moderation in treating Quakers and other religious dissenters. Winthrop was governor at the outbreak of King Philip's War in 1675 and was responsible for organizing the colony's early response. While serving his colony's political needs, Winthrop also continued his interests in other areas. He was widely respected as a physician, and his medical notebooks and correspondence testify to his efforts to alleviate the sufferings of his fellow colonists. His emphasis on chemical treatments put him in the forefront of the medical practices of his day. These interests were part of his ongoing scientific curiosity. While in England he associated with a number of the leading scientific figures of the time, including Hartlib, Sir Kenelm Digby, and Robert Boyle. He moved readily among these and other promoters of an empirical approach to science who were based in London as opposed to the universities. In 1661 he was chosen a member of the association that in 1663 was chartered as the Royal Society, Winthrop being listed as one of the original fellows. As the first American fellow, Winthrop held an informal commission as the society's correspondent for North America. He received and disseminated reports from the society's secretary, Henry Oldenburg, and contributed observations on the natural history of New England. He was especially interested in telescope optics and sent reports of his astronomical observations to European friends. In the winter of 1671-1672 he donated a telescope to Harvard College. 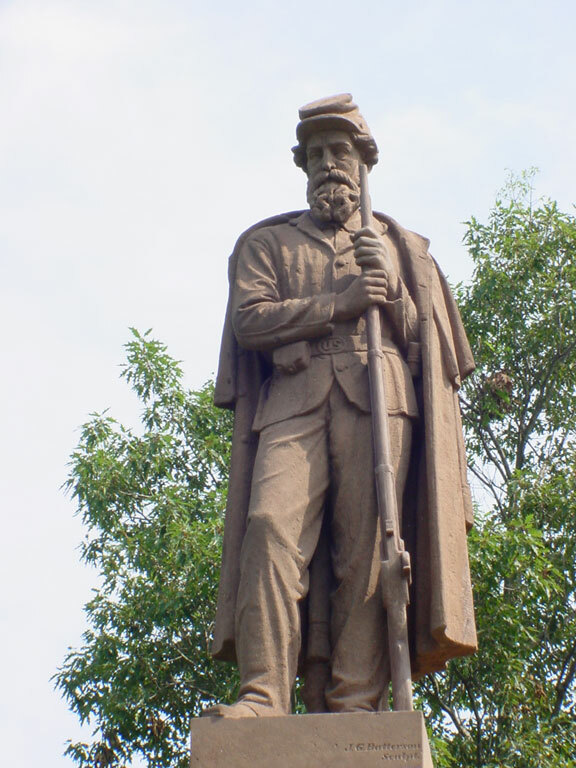 He continued to be interested in the mineral wealth of the region, but concluded that efforts to exploit it, such as his earlier ironworks, were premature. He was also noted for his interest in alchemy, and it has been suggested that he authored a number of noted alchemical studies under the pseudonym Eirenaeus Philalethes. Though he did not make any significant original scientific contributions, he effectively popularized and promoted scientific inquiry into the natural order. [S820] Scott C. Steward and Chip Rowe, Robert Winthrop, pages 53, 81. [S820] Scott C. Steward and Chip Rowe, Robert Winthrop, page 81. James Roosevelt was born on 23 December 1907. He was the son of President Franklin Delano Roosevelt and First Lady Anna Eleanor Roosevelt. James Roosevelt married Betsey Cushing on 4 June 1930 at Brookline, Norfolk Co., MA. James Roosevelt married Romelle Theresa Schneider on 14 April 1941 at Beverly Hills, CA. James Roosevelt married Gladys Irene Owens on 2 July 1956 at Los Angeles, Los Angeles Co., CA. James Roosevelt married Mary Lena Winskill on 3 October 1969 at Hyde Park, NY. James Roosevelt died on 13 August 1991 at Newport Beach, CA, at age 83. James Roosevelt, ("Jimmy") the second child and first son of Franklin and Eleanor Roosevelt, was, apart from his sister, Anna, the Roosevelt child most active in FDR's political career. He worked on FDR's 1932 presidential campaign and served officially and unofficially as his father's assistant. During his brief stint as a presidential secretary (1937-38) he served as liaison to FDR's "little cabinet" and at his father's direction coordinated the activities of twenty federal agencies. He also often appeared at FDR's side to help his father create the appearance of walking. After graduating from Groton and Harvard, James was a partner in a Boston insurance company until 1937 when he joined Roosevelt's staff as presidential assistant to fill the void left by the death of Louis Howe. However, his tenure as a staff member, like ER's career with the Office of Civil Defense during the early days of World War II, was brief due to congressional charges of nepotism and criticism over his possible use of political connections to further his business interests. His relationships with other presidential aides were also strained and he was known as "the crown prince" and "assistant president." (1) The stress was so great that James developed ulcers and in 1938 resigned. Thereafter, he worked as a Hollywood film executive until he joined the Marines in 1940 and served in Carlson's Raiders. When World War II ended in 1945, James returned to California where he established a branch of his Boston insurance firm and tried to launch a political career. He served as chairman of the California State Democratic Central Committee in 1946 and a Democratic national committeeman from 1948-52. Five years after losing to incumbent Earl Warren in the 1950 California governor's race, James was elected to Congress from California's Twenty-sixth Congressional District. He served in Congress until 1965 when President Lyndon Johnson appointed him a delegate to the United Nations Economic and Social Council. He resigned that position the next year to become president of the International Overseas Services Management Company. Thereafter he returned to California, where he worked as a business consultant and wrote books about his family. Two, Affectionately, F.D.R. and My Parents, were nonfiction accounts; the third, A Family Matter, was fiction. His last political activity occurred in 1972 when he was active in Democrats for Nixon. James had four wives and six children. His relationship with ER was equally complicated, in part because of the interference of FDR's mother, Sara, in his upbringing and in part because of ER's resentment over the role James and his first wife Betsey played during FDR's first two terms. ER had opposed making James a presidential assistant because she feared the impact harsh congressional criticism would have on her son and because she did not want the Roosevelt children to receive preferential treatment. At the same time she was hurt when FDR deferred to Betsey's judgment in matters that she felt were within her purview as first lady. Later, mother and son disagreed over political candidates. She supported Adlai Stevenson in 1956 and 1960 while he backed Estes Kefauver and John Kennedy. However, her support for James was so strong that she almost resigned from the United Nations in 1950 when Harry Truman refused to endorse his candidacy for governor of California. James died in 1991 of complications from a stroke. Sarah Fitch was the daughter of Joseph Fitch. Rowsell King was born in 1765 at Windsor, Hartford Co., CT. He was the son of Timothy King and Sarah Fitch. Rowsell King married Catherine Barrington. Rowsell King died on 15 February 1844 at Roswell, Cobb (now Fulton) Co., GA. Roswell King—native New Englander, manager of the Pierce Butler coastal plantations, and industrialist and businessman in Glynn and McIntosh counties—was in his seventies when he founded his namesake town, Roswell. He established the Roswell textile mills in the late 1830s and enticed wealthy coastal families to join his enterprise, thus changing the economy and the population mix of northern Fulton County. The influence of King's late-life accomplishments remains a part of Roswell's historic district. King was born in 1765 in Windsor, Connecticut, the son of Sarah Fitch and Timothy King, an accomplished weaver and a Revolutionary naval commander. Roswell settled in Darien, Georgia, when he was a young man already skilled in the construction business. He began building houses and commercial structures there and applied his expertise in the use of a regional cement-like building material called tabby, even assisting planter Thomas Spalding in the construction of his mansion on Sapelo Island. 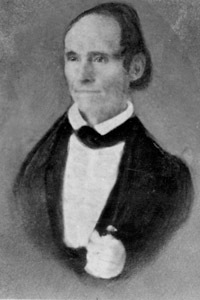 King not only became a landowner and commission broker dealing in cotton, rice, and lumber but also served as a surveyor, justice of the peace, member of the Georgia House of Representatives, and lieutenant in the local militia. His 1792 marriage to Catherine Barrington (1776-1839) in Darien produced nine children. Major Pierce Butler, a Philadelphia resident active in political arenas and in social circles in the North and South, was an absentee owner of vast coastal lands in Georgia; in 1802 King became the manager and overseer of Butler's two enormous plantations, several hundred slaves, and the production of the major crops, cotton and rice. King's minutely detailed reports each week, his efficient record-keeping, and his productivity led Butler to entrust King with increasing authority and decision making. King persuaded Butler to introduce sugar cane production to add to the profitability of the plantation enterprises. There was, however, constant friction between the two men over the treatment of the slaves. Though a strict disciplinarian, Butler was known to feed, clothe, and house his slaves relatively well and to treat them fairly. King, however, was cruel and frequently punished the slaves severely. This situation intensified after the War of 1812. Slavery problems associated with the war triggered the deterioration of the Butler-King relationship. As they had done in the Revolutionary War, British commanders again offered emancipation to slaves who would join them. Plantation owners along the coast felt even more threatened when British admiral Sir George Cockburn and a force of Royal Colonial Marines landed on Cumberland Island and later occupied St. Simons. Butler lost 138 slaves valued at more than $60,000 to the British, who shipped the slaves first to Bermuda and then to Halifax, Nova Scotia. Roswell King, along with plantation owners Thomas Spalding and John Couper, sailed to Bermuda in an abortive attempt to persuade the slaves to return. Butler blamed King for the loss of the slaves and for his failure to realize the danger the British posed. In 1820 King resigned his position and joined the Bank of Darien as a director. His son Roswell Jr. assumed the management of the Butler plantations and remained in that capacity until 1838. King came upon the confluence of the Chattahoochee River and Vickery (Big) Creek, which would become part of Cobb County, and saw the power potential of the rushing waters. With his experience in the production of cotton and the sale of it to northern markets, he had long realized the economic and commercial advantages of coupling production and processing, a rare procedure in the South at that time. After buying Cherokee Nation acreage from white winners in a land lottery, King returned in the mid-1830s to pursue his dream. Two of his sons, Barrington and Ralph, came with him to begin work on a mill complex with the help of their many slaves. Five other coastal families, including those of his daughters Catherine King Pratt and Eliza King Hand, joined him and his sons in their business endeavors and built their elegant homes. With local farms providing most of the cotton, the Roswell Manufacturing Company was incorporated in 1839, and its cotton mill soon became the largest in north Georgia. King's wife died in 1839, and King himself died in 1844, a decade before his namesake town of Roswell was incorporated in 1854. With expansions and additions, the textile mills operated for more than a hundred years, and what was King's little village grew to become one of the ten largest cities in the state. The well-planned town with its central square, mill village, church, and quaint stores—the layout and architecture influenced by his New England background—and the grand mansions of the founding families have continued to bear witness to Roswell King's enduring legacy. Mary Landon was born on 16 April 1822. She married Levi Taylor in 1839. Andrew Henry Parker Bowles was born on 27 December 1939. He married Camilla Rosemary Shand, daughter of Maj. Bruce Middleton Hope Shand and Hon. Rosalind Maud Cubitt, on 4 July 1973 at The Guard's Chapel, Wellington Barracks, England. Andrew Henry Parker Bowles married Rosemary Dickinson on 7 February 1996. 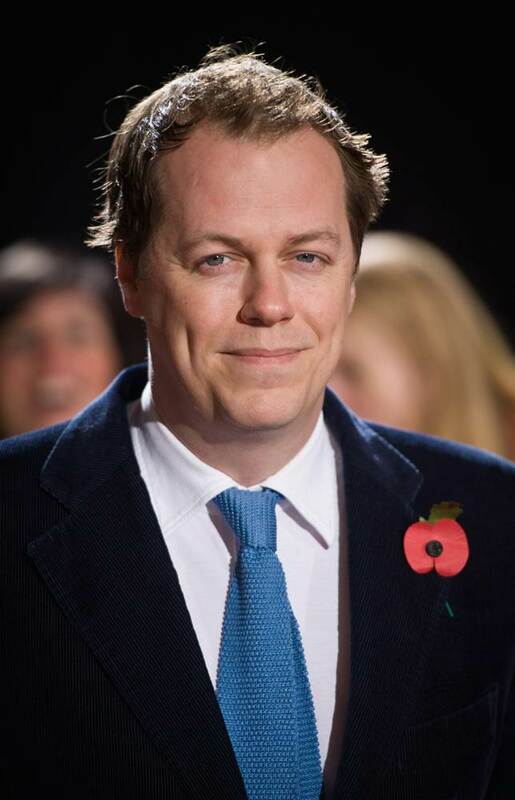 Thomas Henry Charles Parker Bowles was born on 18 December 1974. He was the son of Andrew Henry Parker Bowles and Camilla Rosemary Shand. Eunice O. Holcombe was born in January 1889 at PA. She was the daughter of H. Orville Holcombe and Emma Twombly. Frederick Pettibone was born circa 1838 at CT.1 He was the son of Allen Pettibone and Ammorett Smith.1 Frederick Pettibone died on 4 May 1862. Frederick enlisted as a private on 22 November 1861 in the 1st Light Artillery Regiment of Connecticut. Mary Falley was born on 20 February 1743/44 at Concord, Middlesex Co., MA. She married Zachariah Bush, son of Zachariah Bush and Mary Loomis, on 29 November 1764 at Westfield, Hampden Co., MA. Mary Falley died on 6 August 1822 at Lewis Co., MA, at age 78. Richard Frederick Holcombe Jr. was born on 7 January 1970 at Concord, Contra Costa Co., CA. He was the son of Richard Frederick Holcombe and Marjorie Rose Wright. Richard Frederick Holcombe Jr. married Teri Cruz on 14 June 1997. George Forest II was born in 1874.1 He was the son of Robert Rhodes Forest and Sarah Maria Hayes.1 George Forest II died; in infancy.